We are offering you the very best products that we can find to enhance your performance. Use code "CO-TRIFLOYD" at checkout to receive the TriFloyd discount. A unique formula that increases the ease from entry to exit for all types of wetsuits, dry suits and neoprene accessories. Spray Suit Juice, on skin, sleeves, seals, legs and cuffs or any other neoprene accessories. Suit Juice is eco-friendly. Our 8oz bottle is now equipped with a sprayer. Simply spray, scrub and rinse your suit to FRESHNESS. 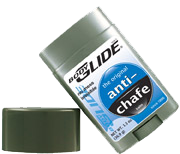 Slider is a long-lasting anti-chafe sports cream. Provides support against skin friction and irritation. Contains antioxidants. Rich in Vitamin A and E to help balance the oils in your skin. The most comfortable and innovative athletic lacing system around. Its unique design is perfect for triathletes to decrease their time in the transition. 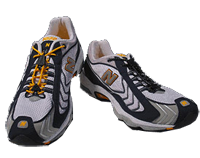 Expandable cords and two points of adjustability provide an unsurpassed level of personalized fit and comfort. Skin Formula is a unique all natural skin lubricant created to stand up to rubbing and moisture, prime causes of skin irritation. It helps stop skin trouble before it starts, and it helps aviod the need for first aid products. It is remarkably comfortable and reliably effective. Skin Formula is not another liquid, powdery substance, lotion, potion–or an empty promise.